1896. 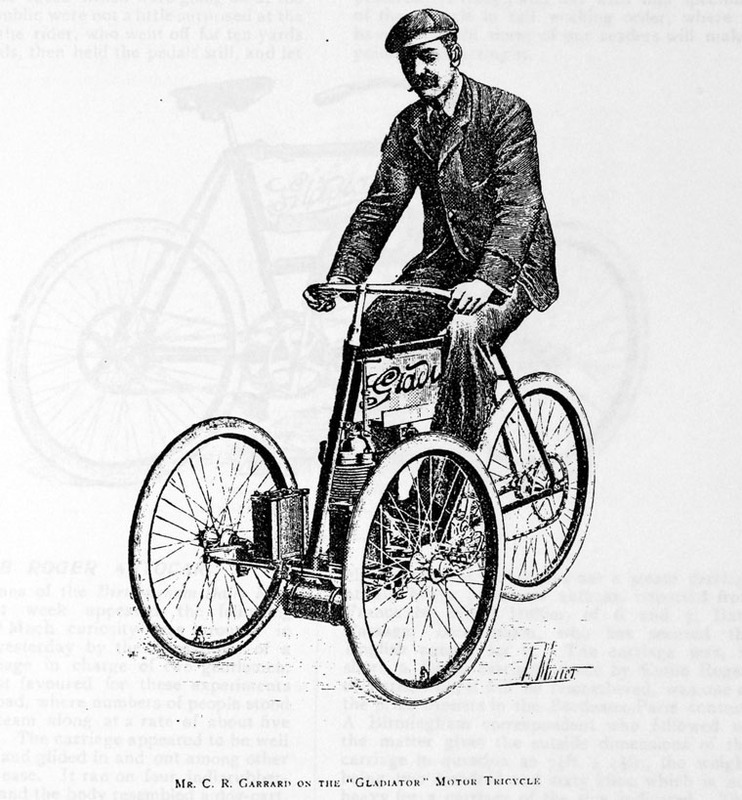 Charles Riley Garrard on The Gladiator Motor Tricycle. 1891 Engineer and machinist of Abingdon Works, Bath St, Birmingham; joined I Mech E.
1891 Living at Embersley Road, Kings Norton: Charles R. Garrard (age 35 born London), Foreman - Cycle Factory. With his wife Ellen F. (age 31 born Buckinghamshire) and their children May (age 11 born Uxbridge), Ellen (age 10 born Uxbridge), Charles (age 9 born London), and Ernest (age 8 born Coventry). 1896 Described as the manager of the Simpson Lever Chain Co.
1900 Standard sizes of autocar chains. 1901 Living at 6 Oliver Road, Ladywood, Birmingham: Charles R. Garrard (age 45 born London), a Mechanical Engineer and Employer. With his wife Ellen F. Garrard (age 41 born Fulmer, Bucks.) and their children May Garrard (age 21 born Uxbridge); Ellen F. Garrard (age 20 born Uxbridge); Charles G. Garrard (age 19 born London), an Assistant Manager - Cycle Engineer; and Ernest Garrard (age 18 born Coventry), Forman - Cycle Engineer. One servant. 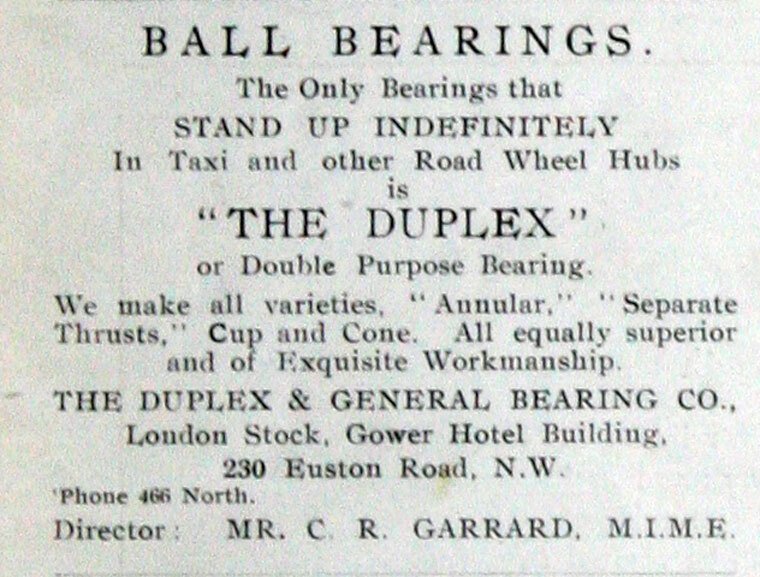 1911 Living at 45 Saint Kilda Road, West Ealing, London W.: Charles Riley Garrard (age 56 born London), a Consulting Engineer (Automobile) on Own Account (married 33 years with four children - three living). With his wife Ellen Francis Garrard (age 52 born Fulmer, Bucks) and their daughter Ellen Garrard (age 30 born Uxbridge). This page was last edited on 20 December 2017, at 19:16.